Thelma Wood (L) and Lorraine Carroll visit the gravesite of Thomas Reibey. A NEW Year is meant to be a fresh start for everyone but, unfortunately, it has meant pain for many people. At the end of 2018 the Church of the Good Shepherd in Hadspen held its last congregation. The church has been listed as one of the properties to be sold as part of the plan to fund the redress to victims of child sexual abuse. For sixty years it has been a place of union, a place of celebration, and a place to put family members to rest. The cemetery has a number people buried in it, including important Tasmanian figure Thomas Reibey who, among his many other achievements, was Premier from 1876-7. Locals who have family members buried behind the church have also purchased lots for themselves and family members, with no sign of reimbursement from the decision. The Church now has no congregation and a question mark over what its future may hold while it is on the market. Hadspen resident, Lorraine Carroll, is devastated about the sale of the church because of the significant history of the church and what has been invested into it by the community. She wrote a letter to the Anglican Diocese of Tasmania in December. The response was, that after further consideration, the Church of the Good Shepherd would remain for sale. It was indicated in a public statement that where cemeteries are involved it would be ideal for community groups to take ownership. “What’s annoying is that many of the furnishings in the church have been donated by Entally House. I would hate for them to be sold,” said Lorraine. “My friend Thelma has nine family members buried at the church, including her husband, and has prepaid for a grave beside him. 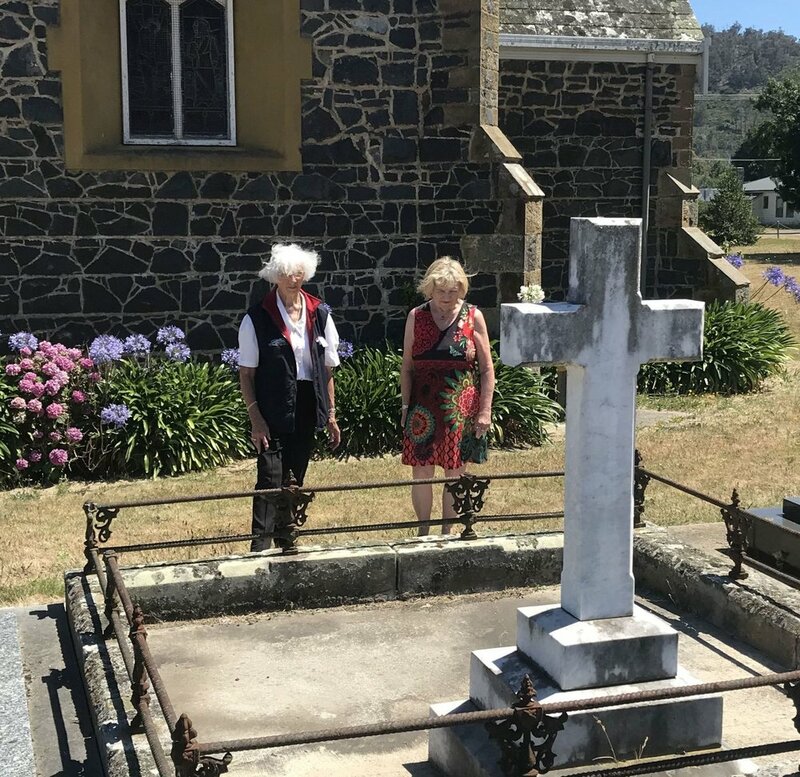 What is going to happen now?” The Church of the Good Shepherd holds history about Thomas Reibey III and William Hadfield, two prominent names in Tasmanian history who are both buried beside the church.